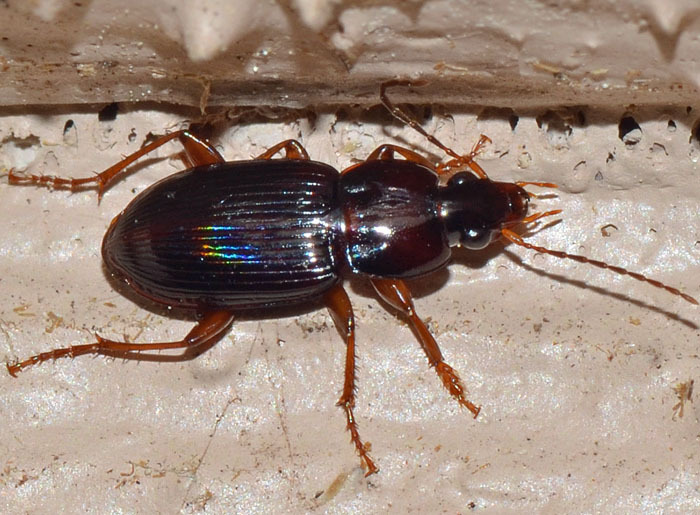 This ground beetle loves damp conditions such as the leaf litter in moist forests and areas that are subject to seasonal flooding and have extensive standing water. Loxandrus comes to light sources and has characteristic bulging eyes. For North America, the genus includes 44 species and many more worldwide.